Do you miss the fun from this summer? Why don’t you bring the kids for a short break in the water slides? Here are our four water park recommendations. We’ve previously written about the advantages of hydrotherapy, so there’s little doubt that water parks can be great for people with disabilities. Not only are they beneficial for your health, but also a lot of fun for the whole family. Situated in front of the famous Burj Al Arab hotel, this water park offers 30 rides and attractions for you to enjoy under the hot Dubai sun. People with special needs are allowed to bypass queues at rides, and there are special adapted changing rooms and showers available. All entrances are also designed for visitors with limited mobility. However, the park can’t guarantee that all rides are suitable for people with special needs, so make sure you check the rules and guidelines for each ride. Finding a water park that’s properly equipped and accessible can be hard, but luckily things are happening, and we’re delighted to see that the world’s first water park for people with disabilities is here. Morgan’s Inspiration Island in San Antonio offers over a dozen rides and attractions, all wheelchair accessible and catered for people with special needs. The park even provides traceable bracelets for parents to locate their children and waterproof wheelchairs that can be rented for free. Children with special needs enter for free, which is another great plus. Going to Morgan’s is also an excellent excuse to visit Texas! Lalandia in Rødby is a tropical holiday centre located next to the Baltic Sea. 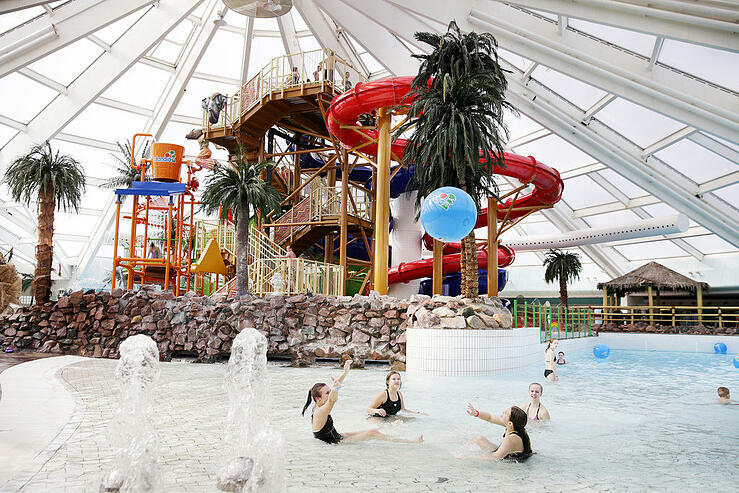 This centre offers lots of water activities for the whole family, including a wave pool and water slides in all shapes and sizes. There are also other activities available, such as bowling, mini-golf, a climbing wall and a fitness centre. To make sure that everyone’s privacy is respected, Lalandia offers disabled cubicles in the changing rooms and a separate disabled bathroom, with bath chairs available. In addition, Lalandia has made moving around quite easy, with asphalt roads and paths all around the centre. In other words, quite easy and convenient for people with special needs. Sandcastle Waterpark is located in beautiful Blackpool, right at the sea front on South Beach. The park is the biggest of its kind in the UK, and offers a variety of rides and attractions, including an own spa section. 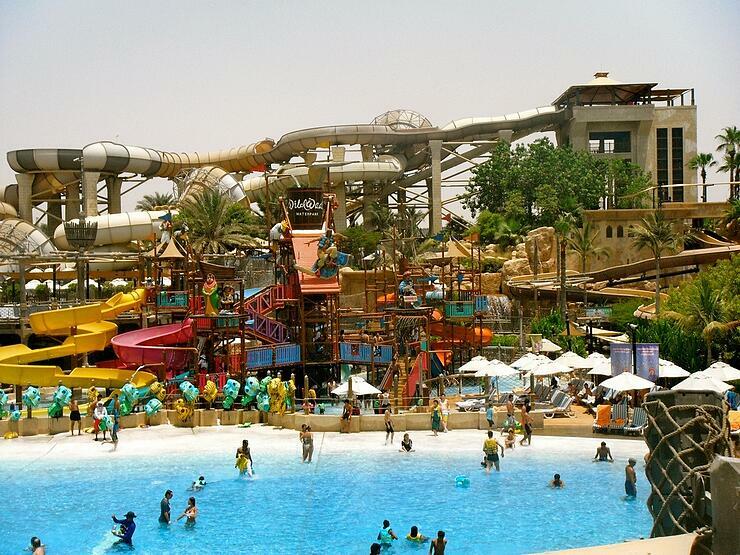 Sandcastle Waterpark prides itself on its own accessibility program, and has won several awards due to the continuous improvements on the facilities with accessibility in mind. There are accessible wet rooms available, poolside lockers for easier access, and accessibility evenings arranged throughout the year. Aside from water slides and pools, Blackpool offers a variety of things to do for the whole family, making it an exciting holiday destination as well.